The turtle totem wisdom teaches us about walking our path in peace and sticking to it with determination and serenity. 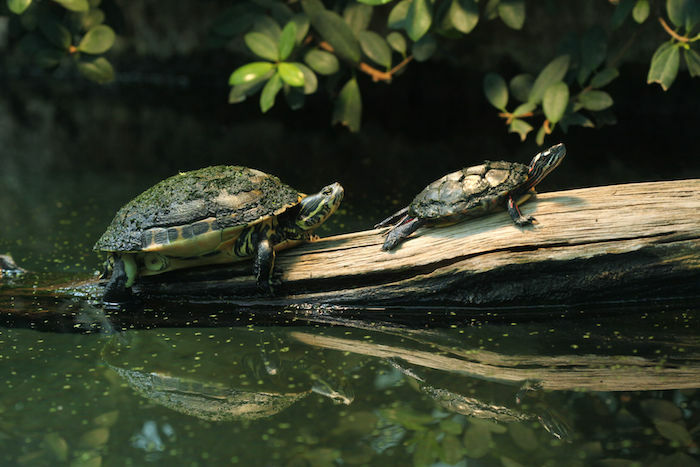 Slow moving on earth, yet also incredibly fast and agile in water, those who have the turtle as totem or spirit animal may be encouraged to take a break in their busy lives and look around or within themselves for more grounded, long-lasting solutions. Traditionally, the turtle is symbolic of the way of peace, whether it’s inviting us to cultivate peace of mind or a peaceful relationship with our environment. The turtle is associated with our physical and embodied evolution on the earthly plane. Call this spirit animal for help to be more grounded. You can also get help slowing down and pacing yourself, so you can take your next step with more confidence. The American continent is referred to as “Turtle Island” in the Native American folklore. It is said that the Turtle carried the weight of the land of that continent on her back. This image is also present in Hindu and Chinese cultures, where the turtle is the animal carrying Mother Earth and holding the world in balance. Having the turtle as totem means that you have an affinity with the ancient wisdom of the earth. You are naturally tuned into the elements, land, plants, people and animals. You carry your home on your back figuratively speaking and feel at ease wherever you are. The wisdom of the turtle totem teaches us about determination and staying strong despite obstacles or distractions. This animal encourages those who have it as totem to listen deeply to their guidance and trust their path no matter what. It is a great helper for those who need to provide a steady effort and persistence. You can call on the wisdom of the turtle when you need help to sustain your efforts and succeed in a long-lasting endeavor. By analogy with the biological attributes of this animal characterized by a long life, this spirit animal is also associated with longevity. If you have the turtle as spirit animal, you may be inclined to base your decisions on a deliberate process of reviews and considerations. It may sometimes take you longer than most to make your move, but the results tend to be long-lasting and solid. The turtle represents the way of peace – whether it’s external or internal. It is considered as the Peace-Maker in Native American traditions. This animal is also often associated with the feminine principle or feminine energy, which foster peace and harmony with all things. Being inspired by the wisdom of the turtle totem, you can slow down when you feel you are getting overwhelmed by a situation or emotions and rest to gain a more grounded perspective. This spirit guide can assist you in taking time for yourself to better integrate all the aspects of a given situation or issue. Turtles are known for taking it slow……real slow! If turtle shows up in your dreams, it may be telling you it’s time to slow down for a while. Are you moving too fast? Pushing too hard? The turtle also has a hard shell that it retreats into when presented with danger. If your dream turtle is hiding in its shell, it could be a warning that danger is approaching. However it could also be a message about coming out of your shell. In what ways have you been hiding? It may very well be time for you to come out and share your gifts with the world! Is The Turtle Your Spirit Animal? Post your ideas and comments about the turtle by using the comments below. Wow,This is great.I must admit I’m like a 🐢. I feel most comfortable in the water swimming with 100 year old turtles and other sea life. I am most at peace while in the water. I feel 150 years old. watching ocean animals on tv felt compelled to see if I was an ocean animal. 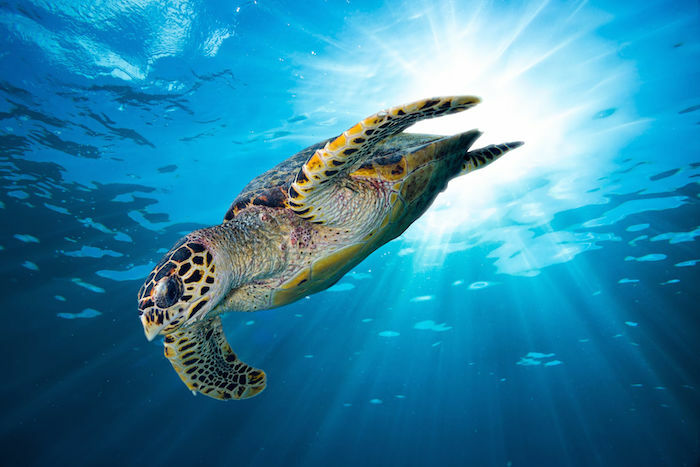 I felt such connection with beautiful turtles in the ocean . behold I am a turtle !! wow how cool! !